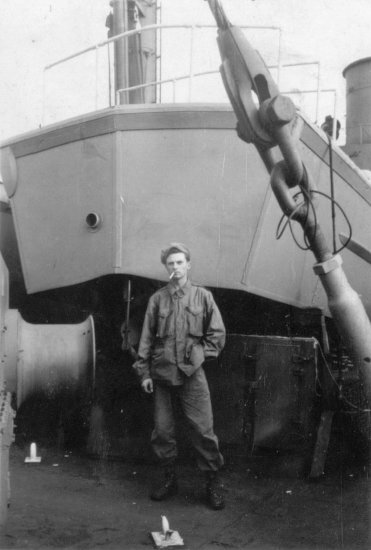 The photo was of him on a Navy ship leaning against a landing craft with the number PA 216-4 on it. Just wanted to send you a note and let you know how much I have enjoyed your site on the Neshoba. I found your site after I found an old photo of my father who was a Navy Seabee in WW II. I asked him about it and he said "you mean the Neshoba, the ship that took me home from the war". He spent 16 days on her going home. He doesn't remember much about his war days but he definitely remembered the Neshoba. 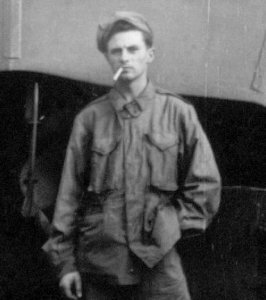 Finding your site on the net has sparked my interest in researching my father's entire war experience. Thanks for the site ! !